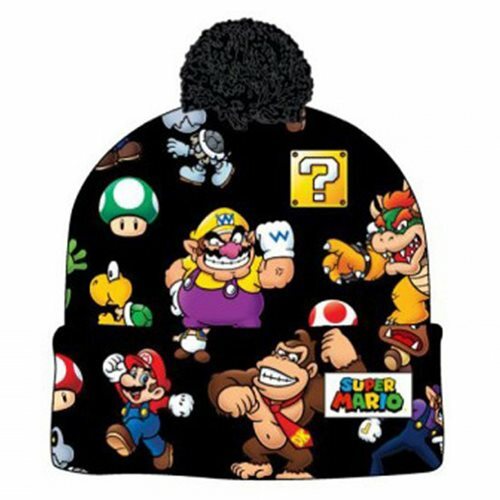 Sporting a bright, colorful all-over sublimation print with images of Mario, Donkey Kong, Toad, and more, this sensational Super Mario Bros. Sublimated Print Men's Cuff Knit with Pom Beanie is made of 100% acrylic full-fleece fabric. One size fits most. Hand wash cold and lay flat to dry. Ages 14 and up.